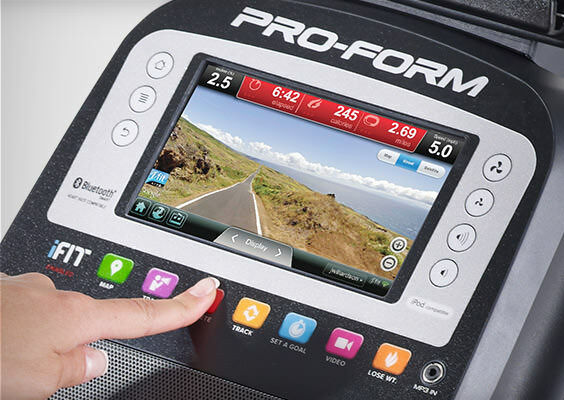 The ProForm PRO 9.0 NE is the base elliptical in the popular PRO series offering a lot of great features without the high price tag. At just $999 on sale, you get a well-built machine with plenty of workout and entertainment options. The PRO 9.0 NE is built of commercial gauge solid steel and comes fully assembled right out of the box, requiring just three simple steps once you take it out. It features a 5" display offering workout metrics such as speed, distance, time, calories burned and heart rate. UPDATE: The PRO 9.0 NE has been discontinued, replaced by the Pro 9.9 in 2017. Read our review here. 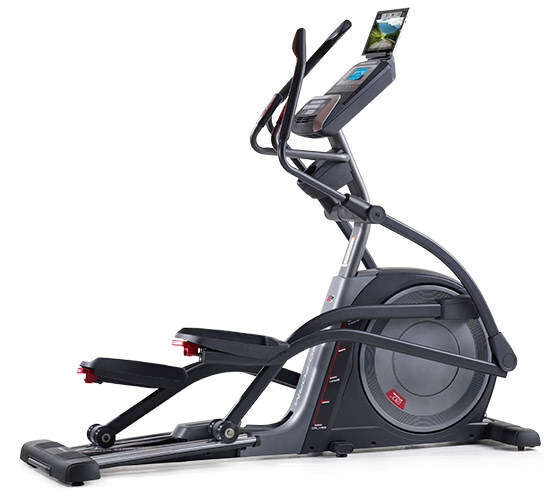 The ProForm PRO 9.0 NE elliptical is a solid choice if you want to get one of their sturdier, better built models but still want to keep the cost below $1000. It may not have all of the bells and whistles of the PRO 16.0 NE model but keep in mind that elliptical is priced about $1000 higher than the 9.0. The 9.0 NE gives you 22 different resistance levels, multi position grips, a 20" stride and 28 different workouts to choose from. Most of the reviews focus on the fact that it is iFit enabled, which means it has ICON Fitness' renowned entertainment package built right into the machine. iFit technology is unlike anything else, with a ton of specially designed workouts, the ability to track and share your results and perhaps the best feature of all, Google maps to train virtually anywhere in the world while the machine automatically adjusts itself to match the terrain. It does require a yearly membership, but it's only $99 and worth every penny. User reviews highlight to ease of use, and the fact that you can literally have it up and running minutes after you take it out of the box. The 3 steps are easy to follow, and it's a real time saver. You can also pop your tablet into the holder, above the console so it doesn't interfere, as well as listen to music with the iPod port. The machine is space friendly and you can move it around easily with the transport wheels. Negatives? Not many. I guess the display isn't so great. At only 5" it's a tad small, and all of the other models in the series come with web-enabled touch screens. If that's something you need then consider the 12.0 for about $300 more. The ProForm PRO 9.0 elliptical is a good choice for those looking for a solid cardio trainer with a lot of features under $1000. It has a good number of workouts, incline capability, plenty of resistance levels plus iFit technology and a music port. So unless you need to have internet access built right into the machine, you have everything pretty much covered. Plus you can always put your tablet in the holder and access the internet that way. All in all, it's a solid choice and you'll be hard pressed to find more features and capabilities elsewhere at this price.